How Is God’s Word Profitable? After stating that the Bible is God-breathed, Paul spelled out its purpose and value. 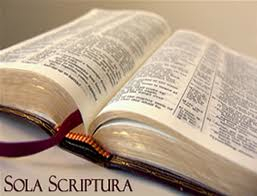 Scripture, he said, is profitable for several things, including doctrine, reproof, correction, and instruction in righteousness. The value of the Bible lies, first of all, in the fact that it teaches sound doctrine. Though we live in a time when sound teaching is denigrated, the Bible places a high value on it. Much of the New Testament is concerned with doctrine. The teaching ministry is given to the church for building up its people. Paul said, “And He Himself gave some to be apostles, some prophets, some evangelists, and some pastors and teachers, for the equipping of the saints for the work of ministry, for the edifying of the body of Christ” (Eph. 4:11–12). The Bible is also profitable for reproof and correction, which we as Christians continually need. It is fashionable in some academic circles to exercise scholarly criticism of the Bible. In so doing, scholars place themselves above the Bible and seek to correct it. If indeed the Bible is the Word of God, nothing could be more arrogant. It is God who corrects us; we don’t correct Him. We do not stand over God but under Him. This yields a practical help for Bible study: read the Bible with a red pen in hand. I suggest that you put a question mark in the margin beside every passage that you find unclear or hard to understand. Likewise, put an X beside every passage that offends you or makes you uncomfortable. Afterward, you can focus on the areas you struggle with, especially the texts marked with an X. This can be a guide to holiness, as the Xs show us quickly where our thinking is out of line with the mind of Christ. If I don’t like something I read in Scripture, perhaps I simply don’t understand it. If so, studying it again may help. If, in fact, I do understand the passage and still don’t like it, this is not an indication there is something wrong with the Bible. It’s an indication that something is wrong with me, something that needs to change. Often, before we can get something right, we need to first discover what we’re doing wrong. When we experience the “changing of the mind” that is repentance, we are not suddenly cleansed of all wrong thinking. The renewing of our minds is a lifelong process. We can accelerate this process by focusing on those passages of Scripture that we don’t like. This is part of the “instruction in righteousness” of which Paul speaks. Finally, Paul explained the overriding purpose for Scripture study. It comes in the final clause, where the apostle wrote, “… that the man of God may be complete, thoroughly equipped for every good work.” It was as if Paul was warning Timothy that if he neglected the study of God’s Word, his life would be incomplete. He would be missing out on this vast resource, this treasury of truth that is the Word of God. And the same is true for us. Source: Adapted from R.C. Sproul’s little book: Five Things Every Christian Needs to Grow.